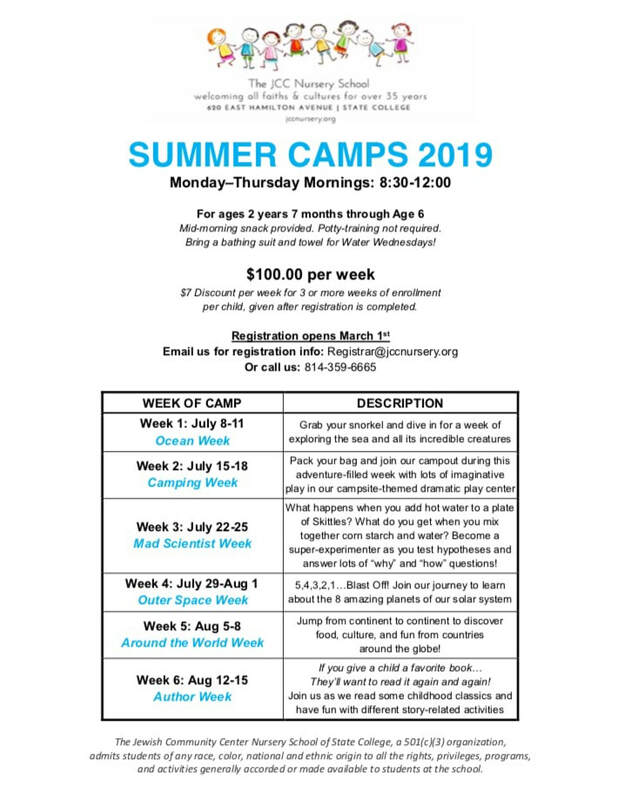 The JCCNS camp sessions will run from early July through mid-late August and are a great way to get some laid back summer socializing in through our play-based curriculum. Similar to our school year, our camp is mixed age and open to children age 2 years 7 months to 6 years. Potty training encouraged, but not required. Our camp consists of six uniquely themed weeks. Students may register for any individual week. Discounts are available for students attending 3 or more weeks. 2019 Summer Camp (Register here)- Now taking registrations on a wait list basis!